About 13 years ago, I was travelling in a beat-up “bakkie” (or, as we Americans call it, pick-up truck) through a dusty, northern Mozambican town. With a bucket on her head and a face lined from years of hardship, an elderly woman walked slowly down the road, quietly going about her business… while wearing a bright red Ohio State sweatshirt, complete with their mascot, Brutus Buckeye! This sweatshirt, probably discarded at one point in a Salvation Army depot in Ohio, found a new owner in the most unlikely place. And while one can argue the merits of second-hand clothing imports and their effect on African apparel industry, the following conclusion is clear: When we discard our unwanted clothes, they do not go away. Rather, the “lucky” ones go on to reuse, after being sorted, categorized, packaged, and shipped, often to faraway lands. This fascinating video shows what happens when these discarded duds arrive in India. “Maybe the water is too expensive to wash them,” says one of the sorters, perplexed by the state of the clothing sent by the West. But what happens when a piece of clothing is too worn to be, well, worn again? Has it reached its end of life? Judging by the millions of tons of clothing ending up in landfills across the world, one would think so. But it doesn’t have to be. Clothes that cannot be worn again can be taken apart. The “easy” way is via mechanical fibre recycling, which entails chopping the clothing into small pieces to create new fibre. But this process weakens the fibre, which still needs to be blended with a high proportion of new (or virgin, in industry speak) fibre. And only a small percentage of total clothing actually goes through this process. But this process doesn’t work if your old t-shirt is made of blended fibres. And we absolutely love those stretchy, fitted t-shirts, which usually have a bit of elastane. In fact, it is estimated that up to 20% of the world’s clothing is made up of a cotton/polyester mix, which means these fibres cannot be “born again” as new fibre for clothing. In other words, there is no end of life. Only end of use. But we’re not there yet. The processes for turning blended clothing into new fibre still need perfecting – and scaling – to help the industry eventually eliminate the concept of waste. So, in the meantime, there are some practical things that we – the customers who love stretchy t-shirts – can do. Love our clothes! We can be inspired by the tips from the Love Your Clothes movement, helping us to think about how we buy, use, and pass on our clothing. For every new piece of clothing we buy, we can gift or swap an old piece… give it to friend, take it to a charity shop, recycling centre, a “take back” scheme, or take it to swishing party. Pull a Mark Zuckerberg. We should not be afraid to wear the same thing, every day, to work. Apparently, this also helps us to be more successful in our careers. Check the labels. Until cotton recycling technologies really take off, a blended t-shirt (e.g. 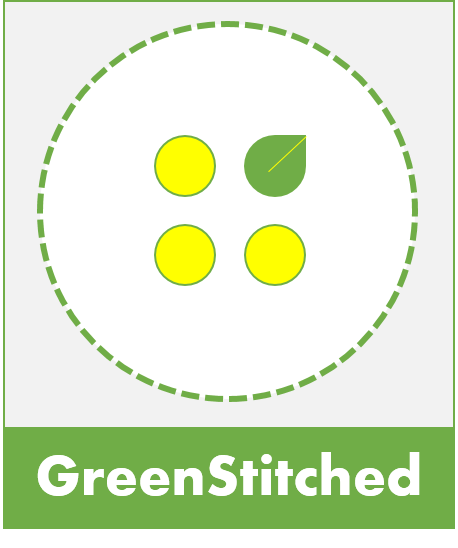 cotton and polyester) is harder to recycle than one that is of a single fibre – whether natural or man-made. Let’s go for that 100%. Tell our friends…and kids. The clothing we love is taking its toll on our earth. At least 350,000 tons of clothing end up in landfills in the U.K. alone. In the US, just 15% of used clothing and textiles are diverted from landfill and incineration. We all have a role to play. Let’s spread the word and bring back our clothes. And the more that we do that, the more we can give new life to our old clothes. This entry was posted in Brands, Recycling and tagged Aalto University, chemical recycling, Circular Economy, Circular Fashion, Deakin University, end of use, Evrnu, Huffington Post, Mistra Future Fashion, re:newcell, Recycling, Saxion University, Tampere University, Unravel, VTT, WornAgain. Is Adidas’ Tech Venture a Leading Signal for the Future of Sustainable Fast Fashion?